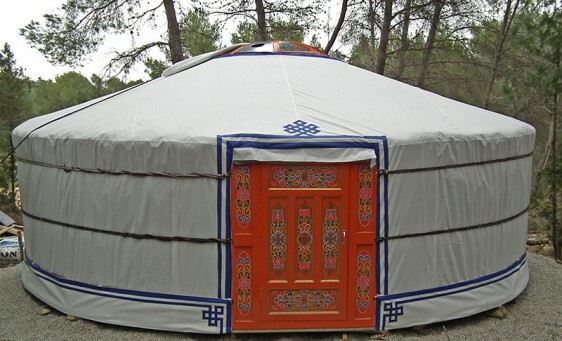 We offer you a beautiful mongol yurt second hand. 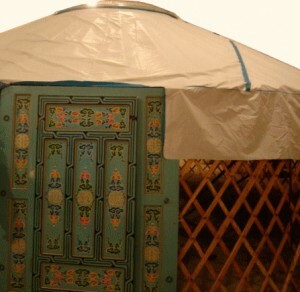 This is a complete yurt, almost new, in very good conditions. 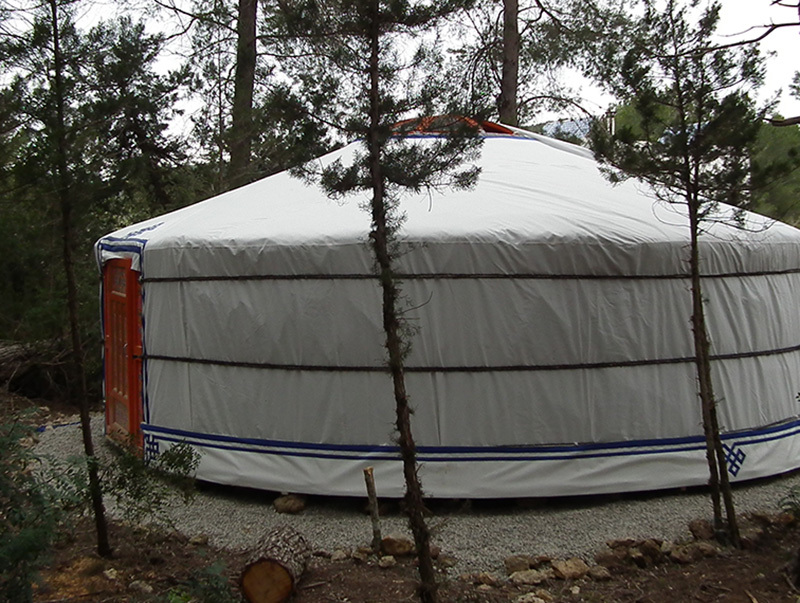 A 6 walls yurt offers you a big amount of space perfect to create a comfy nomadic home in nature, also could work as an alternative room for special activities, as ecotourism accommodation, among many other practical uses! A natural round home, completely portable, full of charm! Perfect to live in harmony with the environment, during all the year! 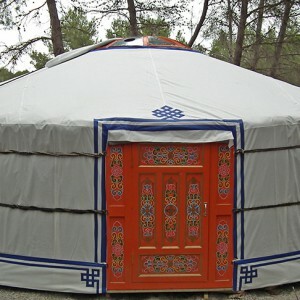 Is robust but also affordable, you will find a very good relation between quality and price in all our yurts. 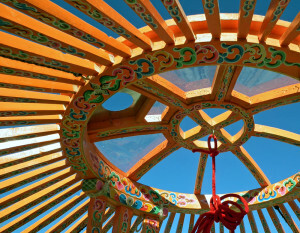 The central ring at the roof. Include four windows frames covered with pvc (methacrylate), one of these has the exit for stovepipe. The two central pillars that holds the crown. These are the poles that create the roof. 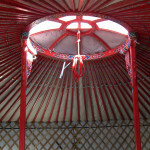 Built in sections, is the net that creates the walls of the yurt. The textile elements are very important as they ensure temperature isolation and waterproofing of the entire structure. Brand new! 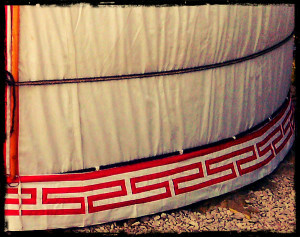 Interior white 100% cotton cover, that prevent the entrance of loose fiber of the felt inside the yurt, and also creates more luminosity. 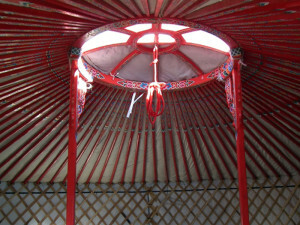 The wool felt of 1,1 cm (in walls and roof) helps to isolate and regulate the temperature inside the yurt. Brand new! 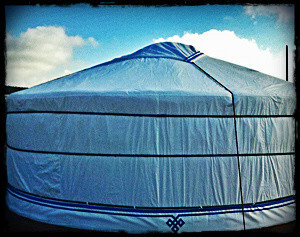 To use at convenience: Closed to protect the yurt from rain, opened to ventilate and see the sky. The inside of the hat is filled with felt and the outside canvas is the same as the cover. 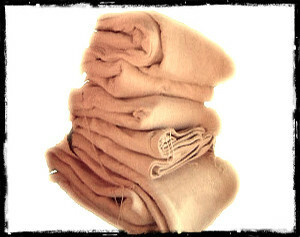 In sand color. Brand new! 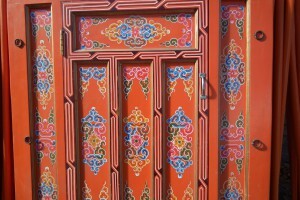 This is the waterproof outside cover, decorated with traditional mongol designs. 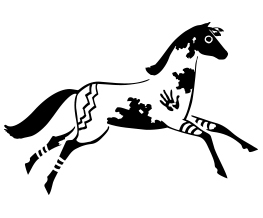 In sand color. Brand new! This waterproof extra canvas stripe, avoid splashing water and dirt at the bottom, in case of rain and wind. In sand color. 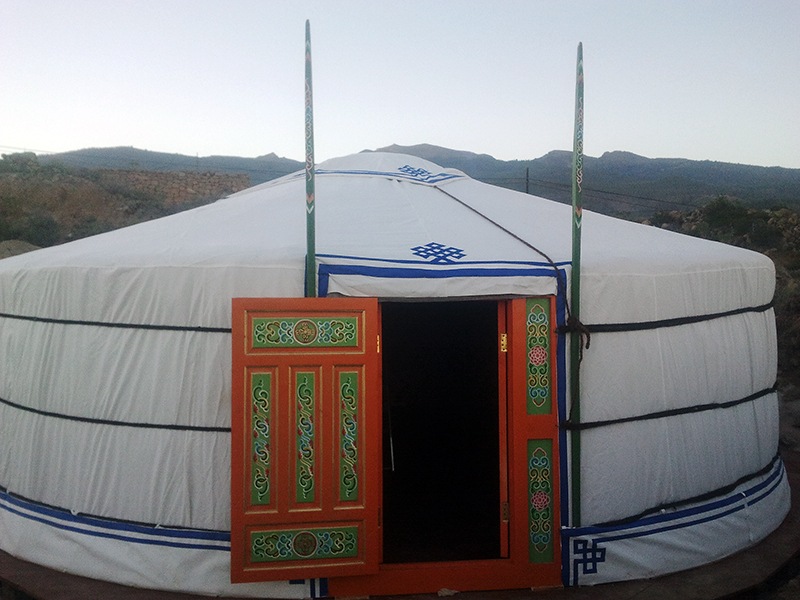 In the 4 walls second hand yurts we include resistant synthetic ropes. Brand new! The waterproof extra layer keeps always dry the felt and wooden parts avoiding contact with moisture in rainy seasons. 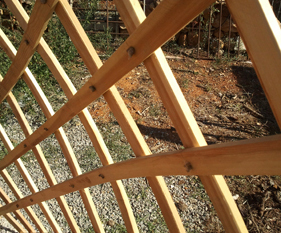 In roof and walls. 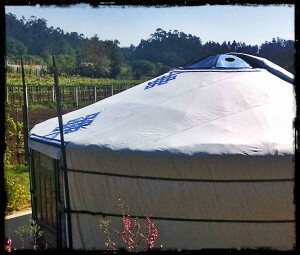 Included in all our second hand yurts and highly recommended for all european weather! 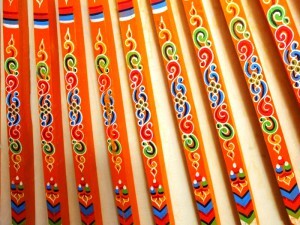 You can also add to your yurt: DECORATIVE CURTAINS, FURNITURE, WOODEN FLOOR. Describe your order, contact information (include name, phone, email and delivery address) and other important specifications that you consider. 2) We will reply you very soon with a complete budget including transport cost, possible delivery date, and payment information. 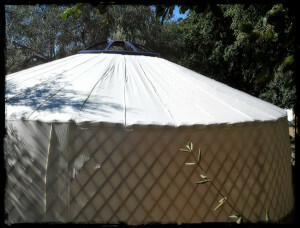 –Normally we have some second hand yurt sizes for sale in stock, ready to send. However, please ask about availability. 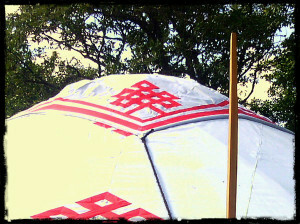 -We offer with our yurts a complete setting up instructions dossier. -If you buy a yurt from us in Europe and you are a registered operator (with validated tax number) you can save 21% local VAT.